This is a Free play on NO@MEM to go UNDER the total. The Grizzlies host the upstart New Orleans Pelicans on Monday night, and the visitors are 1-1, scoring over 100 points in each of those games. Don’t expect that trend to continue here in Memphis, against a Grizzlies team that is allowing an average of just 86.3 points, ranking first in the NBA. 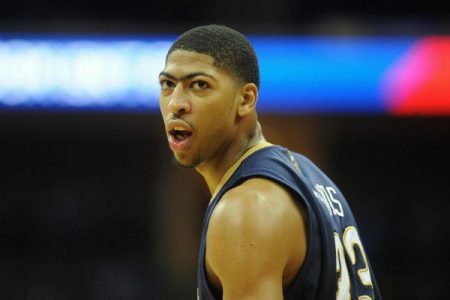 The Pelicans should have no trouble holding their own though, with 21 year old superstar Anthony Davis. He comes in averaging over 28 points and 16 rebounds per game, but the statistic I am most excited about is his 12 blocks in the first two games. Keep in mind I placed a cheeky little bet on Davis to win the Defensive Player of the Year at 8-1 odds. He led the league in blocks last year, and I think he’s likely to do it again this season. The Pelicans have covered five straight versus Memphis, and four of those five games went under the total. Going back further finds that six of the last seven went under the number, and tonight’s total is higher than it was in five of those games. The Grizzlies are coming off a 71-69 win over the Hornets, and prior to that they defeated the Pacers by a score of 97-89 in Indiana. I expect this to be another closely contested low scoring game.